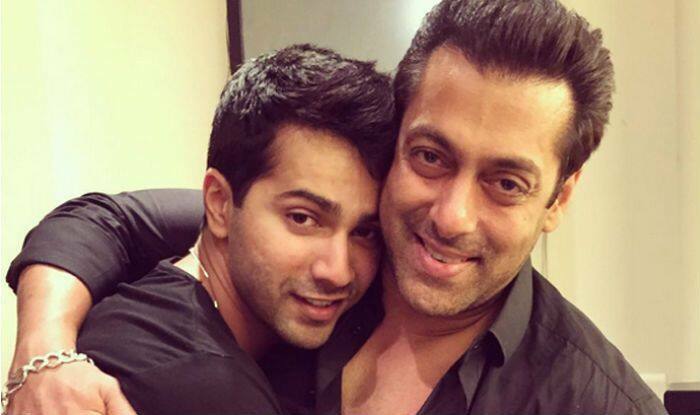 Varun Dhawan was asked to comment on his 'glowing skin' and he gave the entire credit to Salman Khan revealing an incident when the superstar gifted him an aloe vera plant. You’re wrong if you think that only female actors take efforts to take care of their skin. The recent incident explained by actor Varun Dhawan will prove that even male actors are equally conscious of their beauty regimens. The actor has been promoting his upcoming film Kalank these days and during one promotional interview, he narrated an interesting incident. The actor, along with his team, was present on The Kapil Sharma Show when the host asked him about the secret of his glowing skin. Varun revealed that it is all because of Salman Khan that he can boast of healthy skin. As reported by DNA, the actor talked about an incident that changed his idea of taking care of his skin. Varun Dhawan said that once he was just casually hanging out at Salman’s house when he saw the superstar digging into a plant. He revealed that he asked the senior actor about the plant out of curiosity, who told him that it was an aloe vera plant. Varun then said that Salman Khan gifted him that plant and asked him to use the aloe gel daily to have a glowing skin. Well, Salman’s advice evidently did wonders! Both Varun and Salman share a great repo. The latter has been a good friend of Varun’s father, filmmaker David Dhawan and has done many hit films with him. Only last year, Varun featured in the remake of Salman’s 90s hit film Judwaa, that was directed by his dad David Dhawan. The film emerged as a Box Office hit. In fact, Varun is often considered as the right mix of Salman and Govinda in the current league of male actors. Meanwhile, Kalank has him playing the role of a blacksmith named Zafar, who’s in love with a married woman, Roop, played by Alia Bhatt. The film is set in the era of India-Pakistan partition and also features Aditya Roy Kapur, Sonakshi Sinha, Madhuri Dixit and Sanjay Dutt in important roles. Directed by Abhishek Varman, Kalank is set to hit the screens on April 17.